Filming for “Mourning Meal” is about to begin! This short film will be developed from a multi-award winning screenplay written by Jamal Hodge and based on a poem written by Linda D. Addison. Addison met Hodge years ago in New York at a writer’s group. In the last two years, Hodge has had projects in more than 60 film festivals, won 18 awards and screened at Cannes twice. He directed the Investigation Discovery Channel show Primal Instinct, which at its guest point was number two in its time slot. Addison’s poem that inspired the screenplay was originally published in White Knuckles magazine, issue #8. It has been reprinted in her latest collection of poetry titled How To Recognize A Demon Has Become Your Friend—the collection received a Bram Stoker Award in 2011. Hodge’s script for Mourning Meal has been in six film festivals, was a finalist in two, an official selection in two and won awards twice. You can be a part of making the Mourning Meal dream come true by visiting the film’s GoFundMe fundraiser campaign. Besides good karma, your support can pay you back in other perks like “Associate Producer” and “Producer” credits, special thanks and a signed copy of the “Mourning Meal” poem from Linda Addison. Go here to pledge your support! Linda D. Addison is an American poet and writer of horror, fantasy, and science fiction. Addison is the first African-American winner of the Bram Stoker Award, which she won four times. The first two awards were for her poetry collections Consumed, Reduced to Beautiful Grey Ashes (2001) and Being Full of Light, Insubstantial (2007). 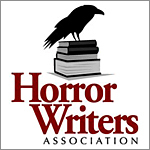 Her poetry and fiction collection How To Recognize A Demon Has Become Your Friend won the 2011 Bram Stoker Award for Superior Achievement in a Poetry Collection. Jamal Hodge is a multi-award winning filmmaker. Since May of 2016 Jamal Hodge’s films have been an official selection in 60 Film Festivals and won over 16 awards. Jamal has had screenings for films he directed at the illustrious Cannes Film Festival for two consecutive years, in 2016 for The Kind Ones and in 2017 for the Knockout Game. Jamal also has had screenings at the Urban World Film Festival, New York City Horror Film Festival, Los Angeles Film Awards and over 40 other festivals since 2016. The lead role is a young woman named Cheryl, played by Rüya Koman, a film producer, director and actress and the founder/president of Koman Filmworks. Ruya recently co-directed, produced and starred in “Interference,” a short film written and co-directed by Robin Rose Singer. “Interference” had its World Premiere at the “New Voices in Black Cinema Festival” at BAM (NYC).